Description: Ten Amazing Fruits is a fascinating game for young children. 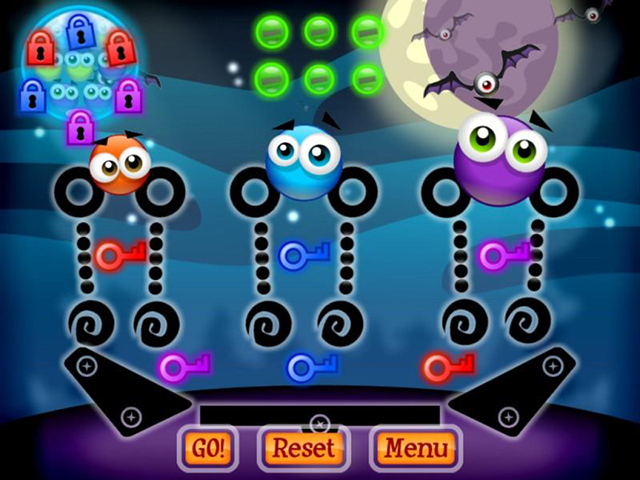 This game stimulates imagination and develops eye-hand coordination. Controlling and changing the cartoon graphics fascinates children for hours.The different, funny Fruit faces that the children create can be printed or saved to disk. The cartoon graphics are easy to manipulate with a mouse. Description: 15 Slide Puzzle is an advanced version of well-known pocket board game. The goal of 15 puzzle game is to compose picture by sliding squares into the empty spot. Advanced features allow to play with digital photos, pictures and classic numeric boards. Select the number of squares from 4x4 up to 8x8. Full screen mode and sounds are also available. Mouse and keyboard support. 15 Slide Puzzle - perfect kids game for child development. Description: They came out of nowhere. They caught us by surprise and hunted us down before anyone knew what was happening. Description: If you have noticed that when you work on the PC your infant loves to come up to the computer, handle the mouse and press on the keyboard : Babimals is ideal for you ! At any time, protect your work and transform your PC into a toddler software station. Description: Cartoon Bear Game is a free cartoon game for kids including many interesting cartoon bear model. You will see the best cartoon bear images with this free cartoon bear game. This game shows rotating cartoon bear around an ellipse on a 3D space with a mirror on the floor. You can control the direction and speed of the cartoon cartoon bear. You can grab a favorite cartoon bear model and see the large picture. Description: Cartoon Bird Game is a free cartoon game for kids including many interesting cartoon bird model. You will see the best cartoon bird images with this free cartoon bird game. This game shows rotating cartoon bird around an ellipse on a 3D space with a mirror on the floor. You can control the direction and speed of the cartoon cartoon bird. You can grab a favorite cartoon bird model and see the large picture. Description: Cartoon Cat Game is a free cartoon game for kids including many interesting cartoon cat model. You will see the best cartoon cat images with this free cartoon cat game. This game shows rotating cartoon cat around an ellipse on a 3D space with a mirror on the floor. You can control the direction and speed of the cartoon cartoon cat. You can grab a favorite cartoon cat model and see the large picture. Description: Cartoon Dog Game is a free cartoon game for kids including many interesting cartoon dog model. You will see the best cartoon dog images with this free cartoon dog game. This game shows rotating cartoon dog around an ellipse on a 3D space with a mirror on the floor. You can control the direction and speed of the cartoon cartoon dog. You can grab a favorite cartoon dog model and see the large picture. Description: Cartoon Fish Game is a free cartoon game for kids including many interesting cartoon fish model. You will see the best cartoon fish images with this free cartoon fish game. This game shows rotating cartoon fish around an ellipse on a 3D space with a mirror on the floor. You can control the direction and speed of the cartoon cartoon fish. You can grab a favorite cartoon fish model and see the large picture.